Debt consolidation can help solve problems with credit cards, student loans, and even back taxes. Can it work for you? If you’re making debt payments every month, but it feels like you’re getting nowhere fast, it may be time to consolidate your debt. You may have heard the term “consolidation” but unless you’ve used one of these solutions before, you may not understand exactly how it works. This guide is designed to teach you everything you need to know about debt consolidation. If you still have questions, feel free to head over to our Ask the Expert section to ask our panel of experts. It can be hard to define debt consolidation because it refers to more than just one solution for solving problems with multiple debts. Consolidation refers to any debt relief option that rolls debts of the same type into a single monthly payment. The goal of consolidation is to pay back everything you owe in a more efficient way. This helps minimize damage to your credit score, which often makes it a more desirable solution versus something like debt settlement. It sounds too good to be true, it’s not. Consolidation rolls similar debts into one monthly payment that is typically less than you paid before. This works for credit card bills, student loans, and even back taxes. If you do it right, you won’t hurt your credit score, either. So, how do you do it right? Debt.com will show you how to consolidate your debt by yourself, or how to consult a professional who can walk you through it. Even if you go your own way, it doesn’t hurt to consult a certified credit counselor for free debt analysis. You can also learn about other options like a debt management program or debt settlement. But first, find out if debt consolidation is right for you. In most cases, consolidating debt also allows you to reduce or eliminate interest charges. As a result, you can get out of debt faster because you focus your money on paying principal; that’s the actual debt you owe. You pay back everything you owe in a way that’s more efficient. As a result, you minimize or completely avoid credit damage that can be caused during debt repayment. You simplify your bill payment calendar with just one bill. 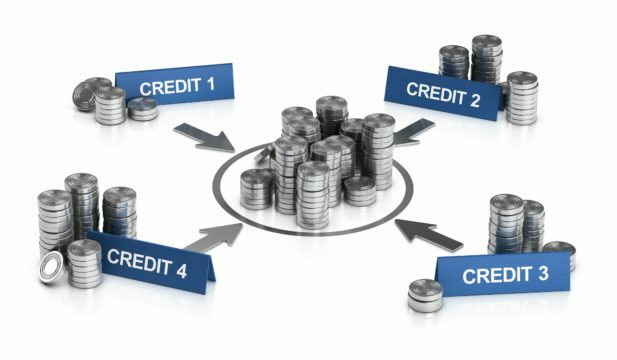 With most consolidation solutions, you also reduce or eliminate interest charges. It can make debt repayment faster, even though you may pay less each month. In general, you can only consolidate similar types of debt. So, for instance, while there are solutions to consolidate credit cards and student loans, you usually must keep them separate. That means if you owe multiple types of debt, you may need more than one debt consolidation plan. There are two different ways to consolidate debt. The best way to consolidate debt usually depends on your unique financial situation. New financing: Apply for new financing and use the new credit line to pay off your existing debts. Debt consolidation program: Arrange a repayment plan that pays off your existing debts, but you still owe the original creditors. 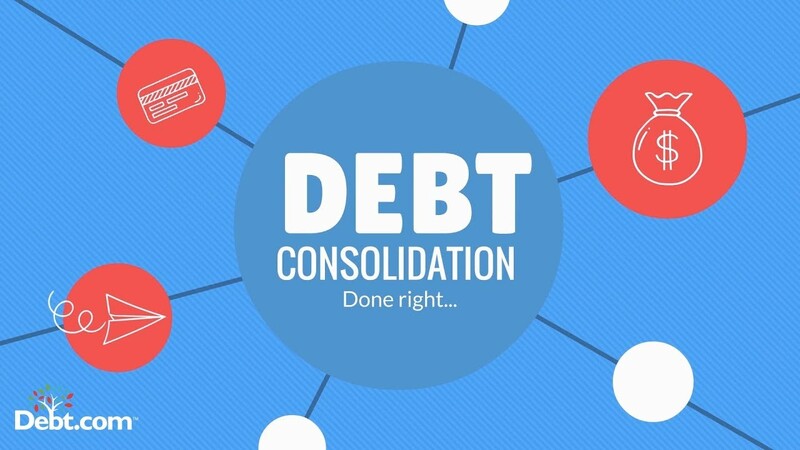 The most common form of consolidation that uses new financing is a debt consolidation loan. However, there are also other versions, such as a Home Equity Line of Credit (HELOC) or balance transfer credit card. You apply for a loan or credit line that’s large enough to pay off all the debts you wish to repay. You get approved based on your credit score; approval requirements vary by lender and the type of consolidation loan that you want. You choose a term for the loan that offers monthly payments you can afford. Once approved, you use the funds you receive to pay off your existing debts. This leaves only the consolidation loan to repay. This type of debt consolidation does not replace old debt with new financing. Instead, you still owe the original creditor. It’s basically a structured debt repayment plan. First you determine what monthly payment you can afford on your budget. Then you structure a repayment plan that uses that monthly payment amount to repay all debts included in the plan. Interest charges still apply during repayment, but they may be reduced or eliminated; setting up a repayment plan generally stops penalties from being applied. You make fixed payments according to the agreed schedule until your debt is paid off. Again, the specifics tend to vary based on what type of debt you owe. Consolidation programs are most commonly seen with tax debt and credit cards. You can learn more by reading about specific solutions below. There are four ways to consolidate credit card debt and only three of them are generally advisable. A balance transfer credit card is a specialized type of card designed to consolidate debt. It offers low balance transfer APR – that’s the interest rate applied when you transfer a balance. In many cases, these cards offer 0% APR promotion periods when you first open the account. This gives you time to pay off your debt completely interest free. Once the account is open you transfer your existing balances, usually by calling customer service and giving them the account numbers and totals you wish to transfer. There’s typically a fee applied to each balance transferred. Typical balance transfer fees range from $3 to 3% of the balance transferred. This moves all your balances (or at least the ones you choose) to the new card. Your other cards will drop to zero balances. You pay off the consolidated debt as quickly as possible. Ideally, you want to pay off the full balance during the 0% APR period. Personal loans can be used for a variety of purposes, but debt consolidation is one of the most common. You take out an unsecured personal loan that you designate for the purpose of credit card debt consolidation. Then you use the funds you receive to pay off your credit cards and other unsecured debts. This leaves only the low-interest fixed-rate loan with fixed monthly payments to pay back. First you should shop around to compare debt consolidation loans by asking for quotes. Once you find a loan that fits your needs, credit and budget, you complete an application. The lender will ask you to authorize a credit check, which creates a hard inquiry on your credit report; this is why you only want to apply for one loan. You choose a term that offers monthly payments you can afford, while paying off your debt as quickly as possible. Once approved, the funds are disbursed (sent) to your creditors to pay off your balances. This leaves only the low-interest fixed-rate loan with fixed monthly payments to pay back. When you use a personal loan to consolidate credit card debt, you can also include other types of debt. It works for personal loans, collection accounts, unpaid medical bills and even state and IRS tax debt. Make sure there are no restrictions on any loan that’s offered, such as the lender requiring you to close your credit card accounts to get the loan. However, some lenders offer 60-month terms, if you need a large debt consolidation loan for high amounts of debt. Looking for the best personal loans for debt consolidation? Debt.com makes it easy to get quotes from top debt consolidation loan companies. If you notice, the first two solutions we describe require you to have good credit. Otherwise, you either won’t get approved or won’t get the interest rate you need to enjoy the benefits of consolidation. In this case, you need to set up a debt consolidation program with professional help. Debt consolidation programs are also called debt management programs or debt management plans. Then run your credit and check your debts to ensure you can’t use do-it-yourself solutions. If you can’t, they review your budget to find a monthly payment you can afford. Once all your creditors agree, your program starts. You pay the credit counseling agency one monthly payment. They disburse the money to your creditors as agreed. You still owe your original creditors and can monitor your balances as they go down. Your credit card accounts are frozen while you are enrolled in the program; you also can’t apply for new credit cards. The last solution for paying off credit card debt is actually a set of different solutions only available to consumers who are homeowners. These solutions involve using home equity to pay off unsecured credit card debt. Equity is the cash value of your home minus the remaining balance on your mortgage. Take out a home equity loan for debt consolidation. This is a fixed monthly payment installment loan where you use the funds to pay off your credit cards. This is considered a second mortgage. Use a Home Equity Line of Credit (HELOC). This is an open credit line that you can borrow against, as needed. You typically have a 10-year “draw” period that offers interest-only payments. After 10 years, the repayment period begins and you must pay principal plus interest. This is also considered a second mortgage. Use a cash out refinance. This is a new mortgage that you take out for more money than your existing mortgage. You use the funds to pay off your first home loan, then get the difference in cash. You can use this money to pay off credit cards. All these options may sound good, but they dramatically increase the risk of borrowing. Credit cards are generally unsecured debt. That means there is no collateral attached. As much a debt collector may threaten you, they can’t take your property to repay a debt. The only way you could lose property to pay off a credit card debt is if you file for Chapter 7 bankruptcy. By contrast, using home equity means the financing is secured using your home as collateral. If you fall behind and default, you risk foreclosure. Increasing your risk to lose your home just to pay off credit card debt usually isn’t worth it. That being said, if you plan on using equity for another purpose, such as home renovation projects, there’s nothing wrong with using leftover funds to pay off a few credit card balances. But experts will usually tell you to avoid using equity solely for the purpose of debt consolidation. Low interest debt consolidation loans are more widely beneficial than credit cards to consolidate debt. They offer fixed monthly payments, so they’re easier on your budget. They often lower your total monthly payments, too, versus what you pay on your individual credit cards. By contrast, you usually need to pay more than you were paying with a balance transfer credit card. That’s because you try to pay off the full balance within the 0% APR period. This is the fastest way to pay off debt, because the payments are 100% interest free. However, 0% APR promotion periods usually only last 6-18 months. As such, you need large monthly payments for this to work. Balance transfers are most effective if you owe $5,000 or less. On the other hand, most lenders offer debt consolidation loans up to $50,000. A low interest personal loan for debt consolidation can’t beat a 0% APR promotion period. However, the low rate applies for the life of the loan. As a result, you can pay off debt in a more reasonable (affordable) way. It works for larger amounts of debt and with limited cash flow in your budget. Let’s be honest – most people would probably prefer to solve debt problems on their own. It can be hard to ask for financial help, because it often feels like admitting defeat. But at a certain point, do-it-yourself simply doesn’t work effectively. If you owe more than $35,000 or have bad credit or can’t stop using your cards, then you need professional help. A debt consolidation program will generally be the better option. The unsecured personal loan is almost always the best choice because it doesn’t put you at risk of foreclosure. Getting a home equity loan to consolidate debt can seem like a great idea on the surface. This is especially true if you have less than perfect credit. You get lower interest rates on secured loans because there is collateral to back it up. But the interest rate savings is not worth the added risk. If you default on an unsecured debt consolidation loan, the worst thing that will happen is the lender will sue you in civil court. The court may allow the lender to garnish your wages or tax refund to recoup their money. But the lender can’t take your home! By contrast, if you default on a home equity loan, the lender can immediately start a foreclosure action. This is not really an accurate comparison, because credit counseling is not a type of debt consolidation. It’s a service that helps you identify the right option to consolidate. 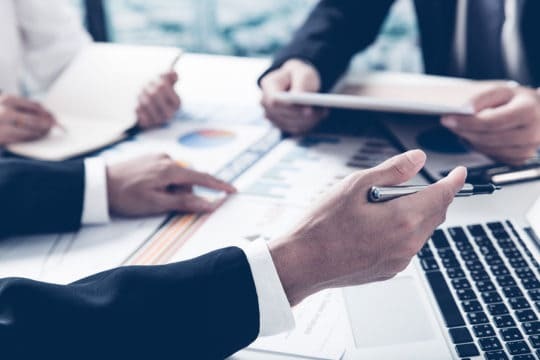 If you use a nonprofit consumer credit counseling agency, they are required to help you identify the right option to consolidate in your situation. In other words, they don’t “sell you” on debt management like for-profit agencies do. In fact, if a debt consolidation loan is your best option a nonprofit consumer credit counselor is required to tell you that. This makes nonprofit credit counseling an effective resource for finding the best way to consolidate credit card debt. They can impartially assess your situation and recommend the best option to use in your situation. Looking for the best way to consolidate credit card debt? Let Debt.com connect you with a top-rated certified consumer credit counseling service to get the answers you need. A federal debt consolidation loan can only be used to consolidate federal student loan debt. On the other hand, private debt consolidation loans can be used to consolidate both private student loan debt and federal student loan debt. In both cases, you can only consolidate federal student loan debt – that’s any debt you took out through FAFSA, minus PLUS loans to parents. In order to use each consolidation loan, you must have at least one debt from that program. So, to use a Direct Consolidation Loan, you need one Direct Student Loan; to use FFEL Consolidation you must have at least one FFEL Student Loan. As long as you have one from the respective program, you can consolidate Stafford Loans, Perkins Loans and other types of federal student loan debt. Federal student loan debt consolidation is unique, largely because consolidation doesn’t try to lower interest charges. You can’t use federal debt consolidation loan to lower interest charges. The lender determines the interest rate by taking a weighted average of the rates on your existing loans. Instead of interest rate reduction and cost savings, the main benefit here is eligibility for federal relief programs. If you consolidate your debt using one of these loans, more of your debts are eligible for things like student loan forgiveness. That can be extremely beneficial, since loan forgiveness can help you get out of debt for a fraction of what you owe. This works in much the same way as a personal loan for credit card debt consolidation. However, you specifically take out a new student loan to pay off your existing student loans. Consolidation, in this case, works for federal and private student loan debt. However, it converts federal debt to private, meaning you lose eligibility to federal relief programs. First you compare debt consolidation loans to find the best deal by asking for quotes. Many banks and credit unions offer loans to consolidate student debt. You can also apply for a student debt consolidation loan online. You review the quotes you receive to find the lowest rate and terms that fit your budget. Make sure to avoid loan origination fees, as well as prepayment penalties or early repayment fees. Make sure to check lender requirements to ensure you meet them. Some lenders require you to graduate and provide proof of your degree; others do not. Once you find a quote you like with a private student loan company where you can meet their requirements, you apply for the loan. The lender approves you and offers an interest rate based on your credit score. Approval tends to be easier with student loans versus other types of debt. Student loan debt consolidation rates also tend to be lower, even with a lower credit score. Once approved, the funds are disbursed to pay off all the loans you consolidated. A private student debt consolidation loan is really the only way to lower interest rates on student loan debt. This can make it easier and faster to pay off your debt, because you focus on paying principal. But the tradeoff is that you lose eligibility for federal relief options. These can be extremely beneficial if you’re facing financial hardship and need lower monthly payments. You can also qualify for student loan forgiveness. Even if you aren’t struggling now, your financial situation could change. If you lose your job and need federal relief, you won’t be eligible if you converted your debt to private. 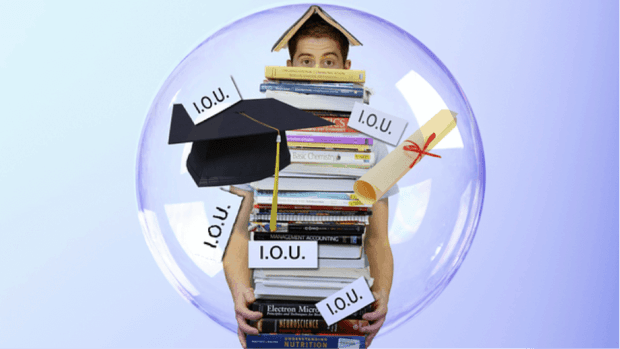 Debt.com can help you zero in on the best student loan debt consolidation solution for your needs. An installment agreement is a repayment plan that you can set up with the IRS to cover one or more years of back taxes. If you owe less than $10,000 you can set up an Installment agreement on your own. If you owe more than $10,000, then you need to work with a tax debt resolution service. You work with the IRS to find a monthly payment you can afford, based on how much total tax debt you owe. Penalties and interest still apply while you make the payments, although you can apply for penalty abatement to reduce them. You must make all payments as scheduled or the IRS can cancel your IA… and apply more penalties. If you already have an IA and owe taxes on a new return, you can roll it into your IA. If you don’t want to use an IA, the other way to pay off tax debt is using a personal loan. Tax debt is unsecured, so you can roll it in with a credit card debt consolidation loan. Or you can use a low interest debt consolidation specifically to pay off state and IRS tax debt. In either case, using a personal loan to consolidate tax debt can be beneficial. IRS penalty interest can go as high as 25% and applies regardless of any extensions on CNC status. Penalty interest charges can quickly turn a small tax debt problem into a big one. So, paying the debt off with a low interest debt consolidation loan make sense. You get the IRS off your back. Plus, the interest rate is fixed for the life of the loan (assuming you used a fixed-rate loan). You can also use a home equity loan, HELOC or cash-out refinance like we described above for tax debt. Unlike credit cards, the advantages and disadvantages are a little different here. With tax debt, the IRS can use almost any means necessary to collect, and they don’t need a court order. They can garnish your wages, levy your bank accounts and place property liens, including on your home. Liens can be highly detrimental, and they can be placed automatically if you owe more than $10,000. If you sell the property, the government has rights to the profits from the sale. Plus, liens appear on your credit report, so they damage your credit score. An unpaid tax lien can show up on your credit for 15 years. It’s the longest credit penalty of any penalty you can get. So, unlike with unpaid credit card debt, there’s a lot to lose with unpaid tax debt. You can hide from a creditor, but it’s almost impossible to hide from the IRS. This can make a big difference in your decision to use a home equity loan, HELOC or cash-out refinance. When it comes to tax debt, a second mortgage may make more sense. 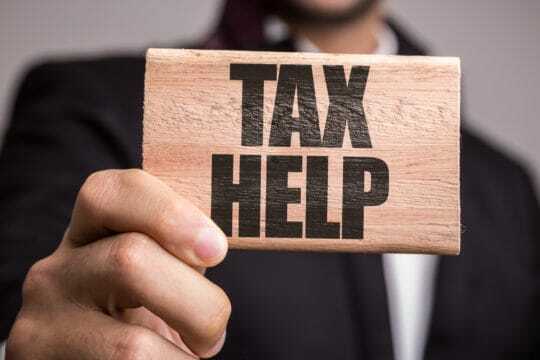 Not sure which option to use to consolidate tax debt? Talk to a certified tax debt resolution specialist to weigh your options. As you can probably guess, the first strategy is better, because it doesn’t bring your home into the mix as collateral. Car loan debt consolidation is a bit unique because a car consolidation loan involves collateral. However, unlike a home equity loan, you aren’t taking on additional risk with this type of consolidation. Your vehicles are already collateral to secure your existing car loans. 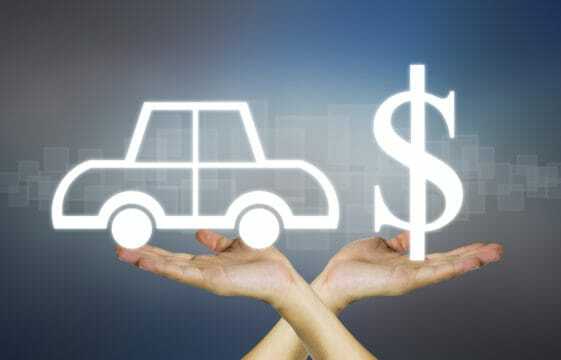 Most banks, credit unions and online lenders offer auto loans. So, there’s no issue if you have cars from different brands or dealerships. Go to your preferred lender to ask for a quote to consolidate auto loan debt. You can also use online loan comparison tools to ask for multiple quotes at once. Talk to each lender that offers a quote that looks favorable. Once you find a quote you like, apply for the loan. During underwriting, the agent will ask for details about your existing car loans that you wish to consolidate. Those vehicles will become the collateral on your new loan. Once approved, the funds from the new loan are disbursed to pay off your existing auto loans. As with other debts, homeowners can also use home equity to pay off auto loans and consolidate the debt. However, again, consolidating auto loans with equity increases your financial risk. A car has value, but it depreciates the moment you leave the car lot with a new set of wheels. There’s no comparison between the asset value of most vehicles versus the value of your home as an asset. Again, think very carefully about tapping equity to pay off other debts. If you default on a car loan, your vehicle can be repossessed. But car repossession would usually be preferable to the potential for foreclosure. Payday loans could be paid off using an unsecured debt consolidation loan. However, most people who use payday loans do so because they know they will not qualify for traditional financing. Payday loans don’t require a credit check and are often used as a last resort when people can’t get financing through normal channels. As a result, it’s usually not possible to pay off payday loans with a debt consolidation. However, payday loans can be included in a debt consolidation program. As long as the payday lender agrees to allow you to include that debt in consolidation program, you can consolidate payday loans with your other unsecured debts. Homeowners can also use home equity to pay off payday loans, but again most people who have equity available use it before they take out payday loans. In addition, there is the increased risk of foreclosure if you use this option. Military Service Members and Veterans have a special option for debt consolidation called a Military Debt Consolidation Loan (MDCL). They also usually qualify for discounted fees when they enroll in debt consolidation program. If you purchased your home using a VA home loan, you are eligible to get an MDCL. It’s a loan that borrows against the equity in your home. The MDCL is a cash-out refinance mortgage that pays off your original loan and then gives you the cash difference in equity. So, if your home is worth $120,000 and you owe $80,000 on your original VA home loan, the MDCL gives you a loan for $120,000. You get the $40,000 difference back and can use the funds to pay off debt. The issue here is still that you borrow against your home’s equity, so you take on an increased risk of foreclosure with an MDCL. 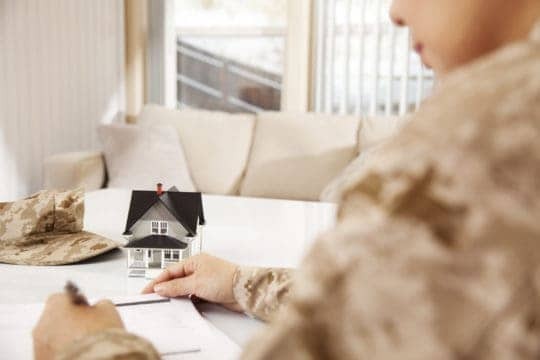 In many cases, you are better off using a debt consolidation program, particularly given that military Service Members and Veterans qualify discounted fees on debt management programs. It’s also possible to consolidate unpaid medical bills using a debt consolidation loan or debt consolidation program. If you had out-of-pocket medical expenses that were not paid by insurance, these bills can quickly turn into collections. Medical debt collections are the number one cause of bankruptcy in the U.S.
You can use all or part of a debt consolidation loan to pay off unpaid medical bills. However, it’s usually advisable to only use part of a debt consolidation loan for medical debt. The reason is that medical debt collections, like other types of collections, do not have interest charges. It’s actually illegal for a collector to apply interest charges to a debt. Thus, using a consolidation loan to pay off medical debt increases the cost of debt repayment because you apply interest. In many cases, debt settlement is the better option because you pay off the debt for a percentage of what you owe. A fast exit is often the best option to get out of medical debt quickly. Unlike a medical debt consolidation loan, a debt consolidation program does not increase the cost of medical debt repayment. When you enroll in a debt consolidation program, the agency negotiates interest rates with individual creditors. For collection accounts, there are no interest rates to negotiate. You simply include the debts in the program to ensure they get repaid. Can you consolidate other types of debt? As such, it often makes sense to consolidation arrears from civil court judgements when you consolidate debt. You can do this with a debt consolidation loan or a consolidation program. Does debt consolidation affect your credit? Usually debt consolidation affects your credit in a positive way as long as all the payments are made on time. When done correctly, consolidation should not have any negative effects on your credit. At worst, the immediate effect of consolidation will be neutral, meaning your score won’t be hurt or helped. However, successfully completing a debt consolidation plan should improve your credit score. You pay off your debt, always making payments on time, which improves your credit utilization ratio while building a positive payment history. Since those are the two biggest factors used to calculate your credit score, your score should improve as you eliminate debt through consolidation. This often makes consolidation preferable for debt relief over debt settlement. Settlement may help you get out of debt faster and for less money, but it will damage your credit score. Settled debt stays on your credit report for seven years from the date of discharge. That means higher interest rates on new debt, leading to higher costs to borrow moving forward. This depends on your financial situation. As long as you can comfortably afford the consolidated debt payments, consolidation should work. Of course, if your financial situation changes and you can’t afford the payments, then you may run into trouble. You also need to avoid self-sabotage after you consolidate. This is particularly important with credit card debt consolidation. If you consolidate credit card debt with a balance transfer or consolidation loan, then your accounts are left open. That means you can start charging again immediately after you consolidate. If you do, you’ll end up with more debt by consolidating, rather than less. You need the will power to avoid making new charges until you’re in a position to afford new credit card debt. Again, this depends on your finances. If you can barely afford the consolidated debt payment and still struggle to make ends meet, consolidation can be bad. You’ll still end up juggling bills and taking on debt to cover emergency expenses. Consolidation is a good idea when the monthly payments fit your budget. That includes factoring money for savings. This allows you to build an emergency fund so you can cover unexpected expenses without taking on more debt. This way, you can focus on eliminating the consolidated debt. Always review your budget carefully to make sure you can afford the payments on a debt consolidation plan. If you can and have money left to save, then debt consolidation is a good idea. Determining if debt consolidation is worth it requires that you assess total cost. Basically, you need to look at the total cost of getting out of debt. This includes fees to set up your consolidation plan, as well as interest charges applied during debt elimination. If you apply for a debt consolidation loan, you should receive a Truth in Lending Disclosure. This will include a summary of costs and total them up. If you use a debt consolidation program, then the credit counselor you enroll through should provide a cost summary. Then, you can compare this total cost to the cost of paying off your debt without consolidation. It may also be a good idea to weigh it against other options. So, for instance, you can assess the total cost of a consolidation loan versus the cost of using professional debt consolidation services. The right option for debt consolidation is the one that gets you out of debt the fastest with the lowest total cost. Always keep that in mind as you weigh your options for debt relief. When should I consolidate my debt? Individual debt payments are taking up too much income and you want to lower your monthly payments through debt consolidation. You want to reduce the total cost of repaying your debt by reducing applied interest charges. In many cases, with both debt consolidation loans and consolidation programs, your total monthly payments are reduced. With reduced or eliminated interest charges, you are able to get out of debt even though you often pay significantly less each month. You consolidate debt that has higher rates. For instance, you convert debt on high interest rate credit cards to a low interest rate loan. If your credit score has improved since you took out the original debt, consolidation can help you qualify for lower rates. For example, if you took out auto loans when you had a subprime credit score and now you have good credit, a car consolidation loan could lower your rates.